This morning a little bird in the woods near my house reminded me of Harriet Barker, who taught this bird to me years ago. I met her on a birdwatching trail in the Chiricahua Mountains of Arizona. We never saw the bird. But we listened to its emphatic song coming out of a bush. "It's the Question-and-answer bird," Harriet told me. "Bell's vireo. It sounds like it's asking a question and then answering it." Wouldja switch a witch's widget witz a switch? it sang. And right after came the answer: Witches switch a scritch's stitches witz a chew! It's more often heard than seen. Often it's just a scratchy song coming out of a thicket. Once you learn it, you'll never forget it. It wasn't singing this morning. I had to identify it by its appearance, which is considerably more difficult than by its song. The Question-and-answer bird. 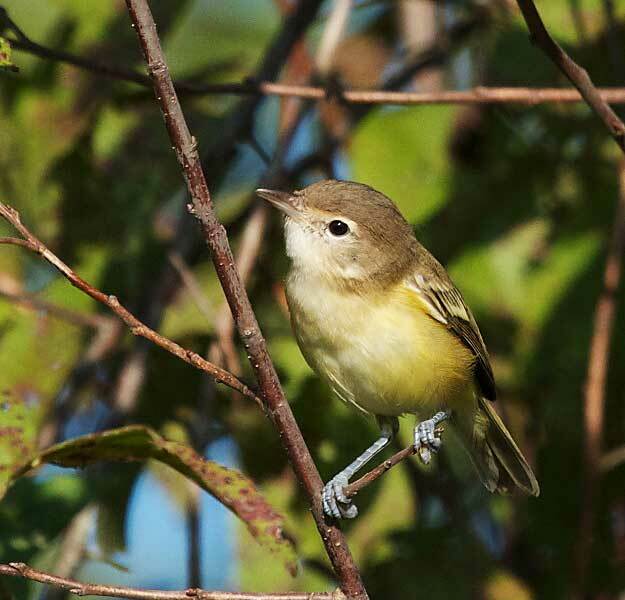 The Bell's vireo. 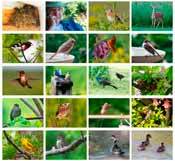 Here's a great way to learn bird songs. The iFlyer is really simple and fun to use. Swipe the wand across a bar code in the book. The wand plays the song. Comes with an extra set of bar codes. Stick them om your field guide, and it will play the songs too!